A Mattress Fundraiser is a one day event hosted at your facility. All American Fundraising Solutions will convert your cafeteria or gymnasium into a Mattress Showroom. 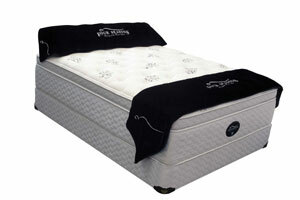 Top Quality - Name Brand mattress sets will be discounted 40% - 60% off store prices. Floor samples will be on display for community supporters to test before purchasing. The event will be held on a Saturday or a Sunday. Profits from the sale will go directly to your group. All American Fundraising Solutions has a proven track record of success, raising thousands of dollars in just one day, with various types of organizations. We will work closely with your group to maximize your fundraising results. The All American Grass Roots Marketing Plan eliminates advertising cost, allowing us to provide your supporters incredible price values on Top Quality - Name Brand mattress sets. It cost your group NOTHING and can raise THOUSANDS OF DOLLARS in just one day!